Interesting choice to invest some time swimming in Font-Romeu-Odeillo-Via. Is it not your initial time here? Tell us how it went working with the Facebook comments below or contacting us directly! 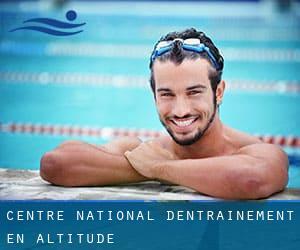 Centre National d'Entrainement en Altitude is only one of all the swimming pools Swimia is providing you, and its details has been shared with us by a swimmer like you.Keep in mind you could now promote Centre National d'Entrainement en Altitude by sharing this page with your friends, adding comments and linking to us. Few days ago a normal user of this center told us they offer Olympic size x 15 meters, 6 lanes, Indoors. Furthermore, they keep in good conditions 25 meters x 12.5 meters, 5 lanes, Indoors. Contact information for this Swimming Pool like phone number and email address are number. Avenue de la Marne , Rivesaltes , FRANCE (Postal Code: 66600). Among all the activities provided by the center, if you're interested in swimming you can take pleasure in 25 meters, 4 lanes, Indoors. If you have to contact this Swimming Pool, email address and phone number are both number. Updated on 2019 Chemin des Aloès , Saint Esteve , FRANCE (Postal Code: 66240). Swimmers like you reported 25 meters x 10 meters, 4 lanes, 0.8 meters - 2 meters, Indoor/Outdoor. Unfortunately we do not have the email address of this Swimming Pool, but we can give you the phone number. Boulevard de la Jetee , Canet en Roussillon , FRANCE (Postal Code: 66141). This sports center gives 25 meters x 10 meters, 4 lanes, Indoors. For this Swimming Pool, only phone number is number here. Updated on 2019 Avenue des Hauts de Canet , Canet en Roussillon , FRANCE (Postal Code: 66141). This sports center offers Olympic size x 21 meters, Outdoors. Contact information for this Swimming Pool for instance phone number and email address are number. Avenue de l´Aérodrome , Perpignan , FRANCE (Postal Code: 66100). Swimmers like you reported 25 meters x 12.5 meters, 5 lanes, Indoors. Unfortunately we do not have the e-mail address of this Swimming Pool, but we can give you the phone number. Updated on 2019 80, Avenue Paul Alduy , Perpignan , FRANCE (Postal Code: 66100). This sports center offers Olympic size x 20 meters, 8 lanes, 1.5 meters - 3.8 meters depth, 1.5 meters - 3.8 meters depth, Indoors. For this Swimming Pool, only phone number is number here. Updated on 2019 Rue Mme de Sévigné , Perpignan , FRANCE (Postal Code: 66000). This sports center delivers 25 meters x 10 meters, 4 lanes, Indoors. For this Swimming Pool, only phone number is number here.